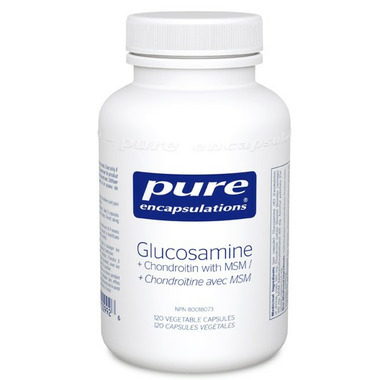 Pure Encapsulations Glucosamine & Chondroitin with MSM (methylsulfonylmethane) provides an enhanced spectrum of nutrients for optimal cartilage matrix composition, connective tissue strength, and joint comfort. Glucosamine promotes the synthesis of the glycosaminoglycan chondroitin sulfate. Chondroitin sulfate is responsible for building the ground substance of cartilage, molecules known as proteoglycans. 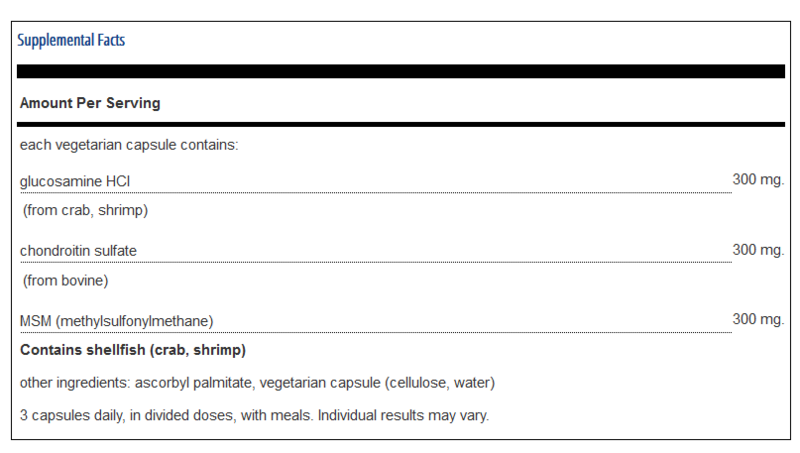 In addition, chondroitin sulfate may maintain healthy enzyme activity. An important role of sulfur from MSM is to enhance the structure and integrity of proteoglycans.